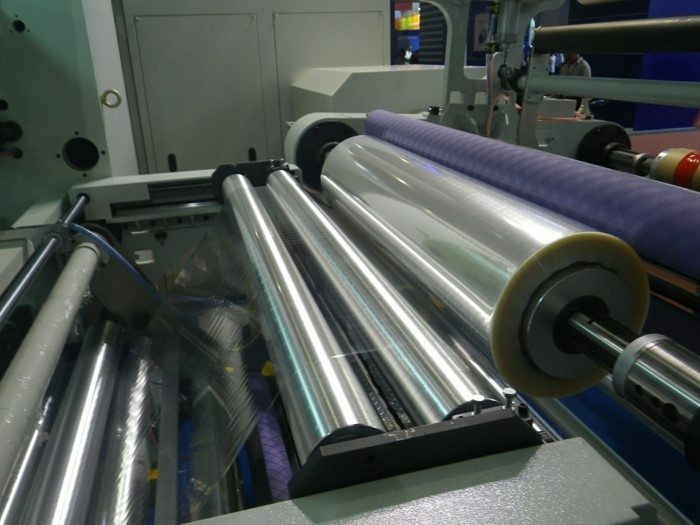 High performance laminator, provides precise coating weight consistency from minimum to maximum speed with the best combination of coating and laminating position. 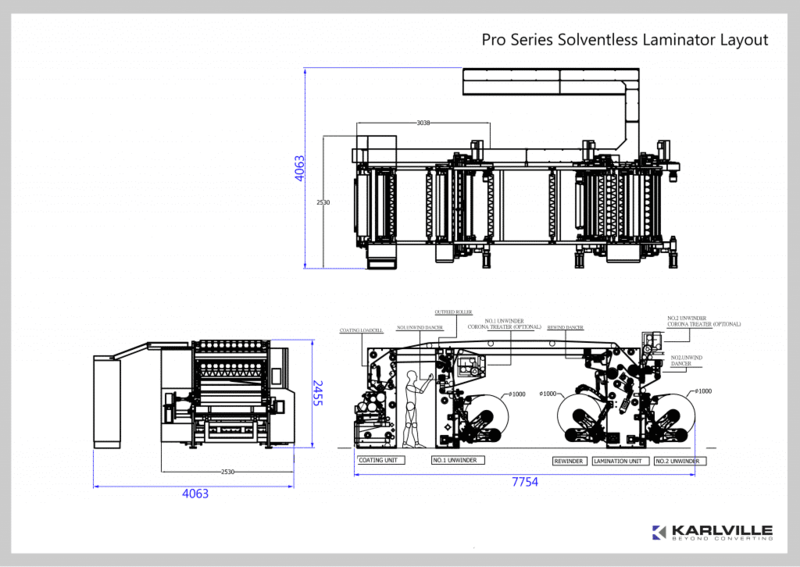 Proven five roller coating system with effective lamination immediately after coating. Material travels overhead to the rewind already laminated. Available for roll to roll or fully automatic operation. 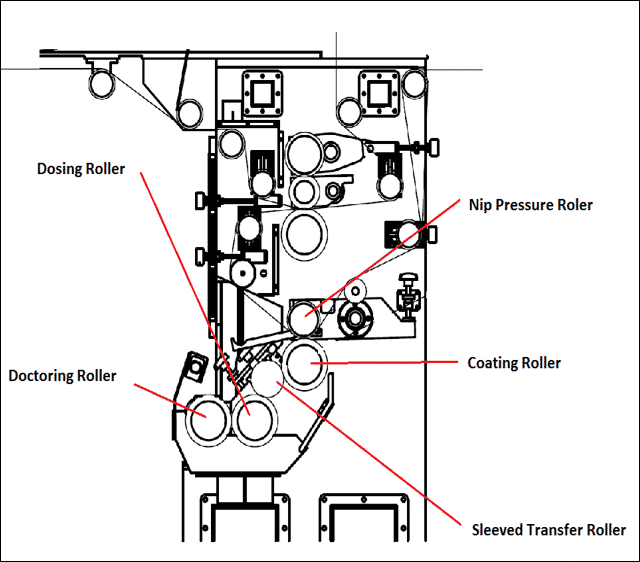 Simple and fast procedure to measure coating weight compared with traditional weigh-scale method. 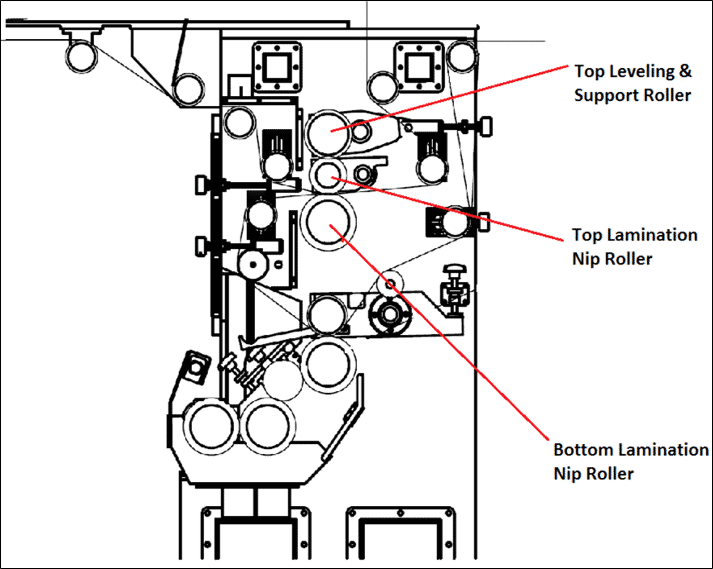 By using on- line and non-contact system to measure the coating weight, the operators can perform the suitable adjustments without wasting time. It is possible to confirm the mixing ratio and the mixing status by checking the measurement values. 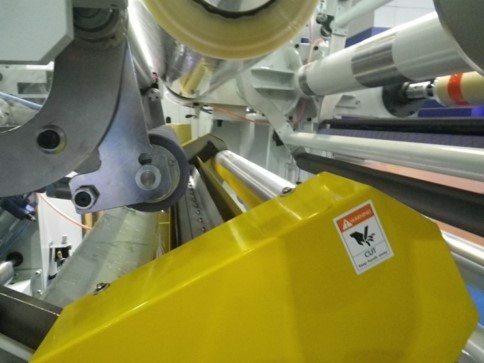 Especially for controlling the adhesive with quick reactive time to ensure that the lamination has been done before reaction. 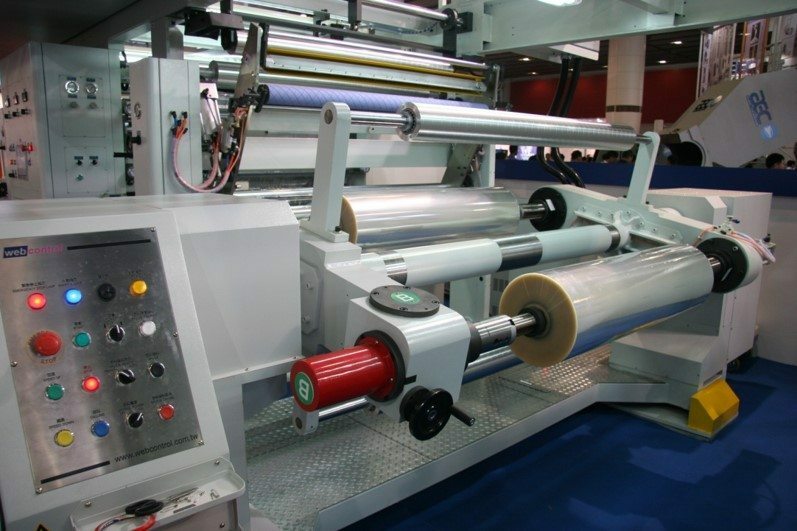 Other Systems have 7 meters (21 ft) of Film Travel Between Coating & Lamination Systems making it more difficult to Control Tension & Curling Issues.